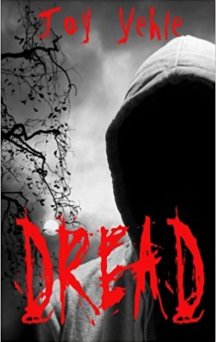 I read the book Dread By Joy Yehle recently and below I have a brief review of it. This is Joy’s first book and I think it’s something worth checking out if you’re a horror fan. I enjoyed this book. One of the better parts of the way the story is told come in the chapter size. Instead of having long drawn out sections the book is broken into short chapters which gave the reader a sense of moving forward and completion. Another reviewer said, “With its creepy, mysterious children in a spooky small town setting, ‘Dread’ has a real Stephen King/Dean Koontz feel to it.” I agree. I feel like it leans more towards King without droning on endlessly (I find Kings work a bit long winded at times). The ending of this book was solid and overall the story kept me entertained. The evil kids having black eyes reminded me a bit of the TV show supernatural. But that’s just because I’m a big fan. The book itself does not disappoint and I feel confident recommending it to others. Most of Joy’s Reviews are 5 stars. The worst anyone’s had to say about this book seemed to mostly have to do with the editing, “With its creepy, mysterious children in a spooky small town setting, ‘Dread’ has a real Stephen King/Dean Koontz feel to it. The characters are interesting and believable, mostly high-schoolers, and their interactions with one another lend a ‘Thirteen Reasons Why’ flavor to the story. I was left in suspense until the very end. And even then the reviewer still gave the book 3 stars. Find Joy’s book here and her author website here.